It is the policy of the Village to ensure that all requests are properly and promptly completed, therefore we ask that all requests for public information be made in writing. For your convenience, we have a Freedom of Information Act Request form that may be submitted in person, by mail, facsimile transmission, or electronically. It is also the policy of the Village of Minooka to fill all requests for public documents in accordance with state law. Most requests will be processed within five (5) business days. However, if the requests require coordination with outside contractors, research or are unusually large, the Village will request additional time to respond within the time period allowed by law. Requests of a commercial nature will receive a response within twenty-one (21) business days, as permitted by law. Note: “Commercial purpose” means the use of any part of a public record or any information derived from a public record for sale, resale, or solicitation or advertisement for sales or services. 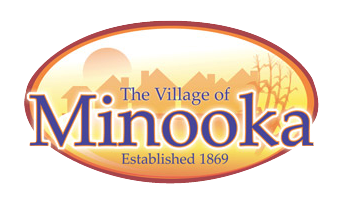 It is a violation of the Freedom of Information Act to knowingly obtain information for a commercial purpose without disclosing that intent to the Village of Minooka. Each request for a public record or category of public records made in violation of this requirement (whether made as part of a single or multiple written requests) shall be subject to a fine of $750 and such other penalties allowed by law. *All Village Hall related requests should be requested through Village Hall. All Police Department related requests should be requested through the Police Department; see links below. For all Village Hall Records Requests, use the Village FOIA Request Form. Email Village Hall requests to info@minooka.com. For all Minooka Police Department Requests, use the Police FOIA Request Form. Email to beth.black@minooka.com.